This Hotel was amazing the boss off the hotel was helpful he can speak english aswell the location was brilliant because the beach was right in front of the hotel i would never rate this hotel as a 1 star everyones views on the hotel that i sore before i went to sarti beach hotel is a load of rubbish with the negative comments so everyone please do ignore until you have been yourself !!!!! 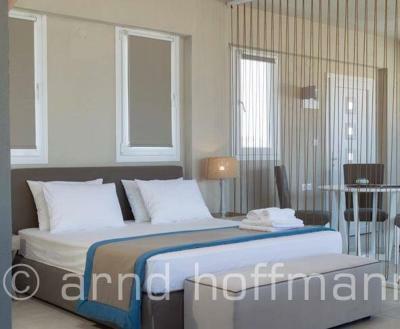 The rooms were cleaned everyday and also the rooms are huge and balcony was just amazing. The beach bar across the hotel was lovely food was good and staff were lovely and the beach well all i have too say is WOW beautiful and very clean. The town centre off sarti was perfect very nice and relaxed and amazing to walk through and to eat and drink yes a bit expensive but it was ok. Thank you for an amazing stay. 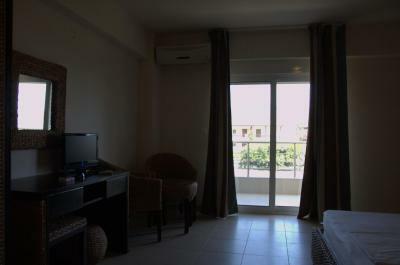 Great views from the large balcony, air conditioning fixed quickly when broke down, close to lovely beach and beach bars. 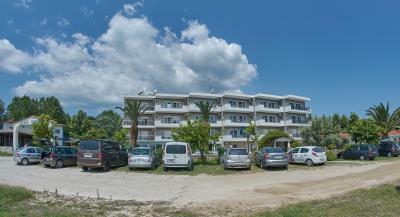 Excellent location, plenty of the parking space, beach is across the hotel. Aircon works perfectly, cleaning daily service is awesome. 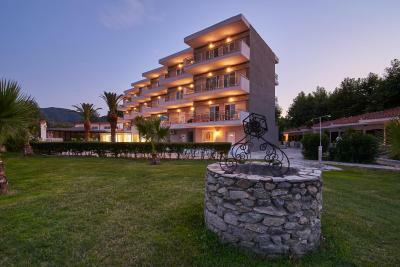 Wonderful location, charming view of the sea and Athos, the friendly attitude of the staff. The location is great. 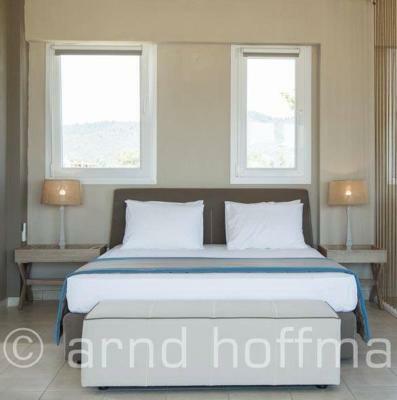 The classic suite is spacious and comfortable for 2 adults and 2 kids. 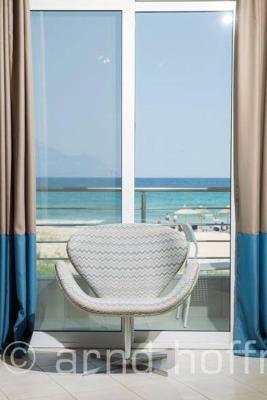 If you have a balcony toward the sea – the view is nice. 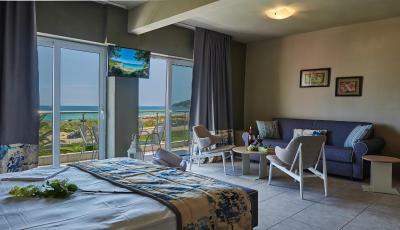 Very nice and big room, great view towards Athos and the sea, really nice sunrise. 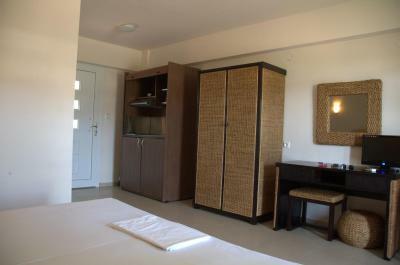 Clean room and bathroom, nice furniture. 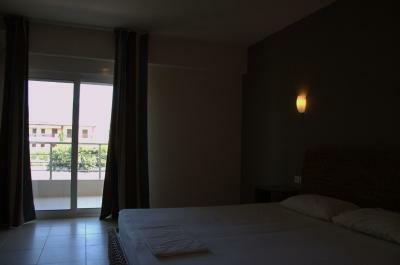 Close to 2 good restaurants and a mini-market and walking distance to Sarti center. Rooms are spacious. 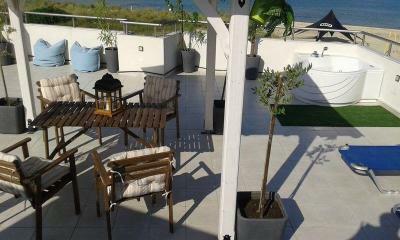 Balcony too. We had 2, but one was locked because doors dont work. 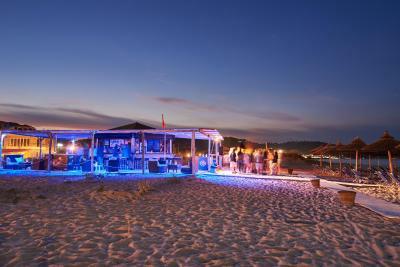 Beach is beautifull, beach bar is ok. Manager is willing to help but be cant do everything, even if he wants he cant. 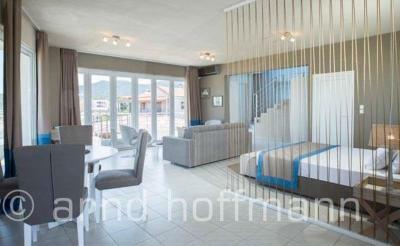 Perfect apartment, very spacious and with amazing view on Mount Athos - unforgettable sunrise. 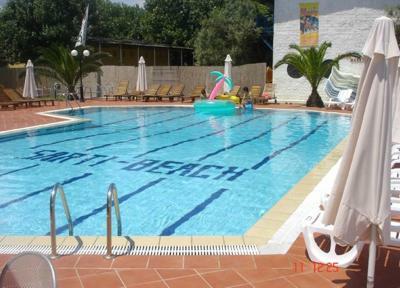 Don't be turn by wrong description in comments - it is perfect place to be in Sarti. 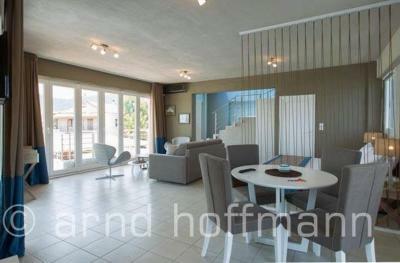 It has own beach with free sunbeds, and location is perfect - you will enjoy in a 10 minute walk to downtown. Cleaning is every day, hosts are perfect. Highly recommended. Hotel Sarti Beach This rating is a reflection of how the property compares to the industry standard when it comes to price, facilities and services available. It's based on a self-evaluation by the property. Use this rating to help choose your stay! 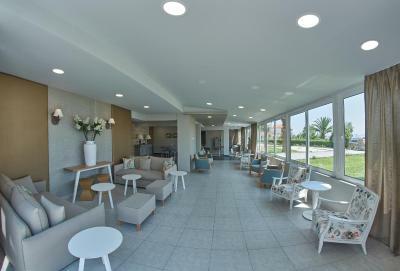 Featuring an outdoor pool and restaurant, beachfront Hotel Sarti Beach is located in Sárti in Chalkidiki peninsula. 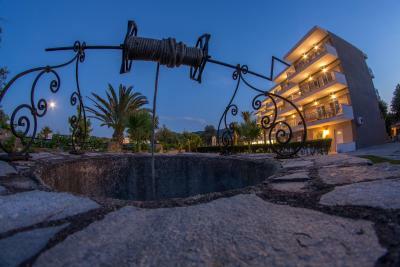 Set amid lush tree gardens, the hotel includes a large sun terrace and free WiFi throughout. 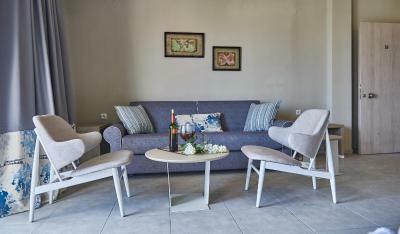 Each air-conditioned suite has a seating area with a sofa and flat-screen TV. 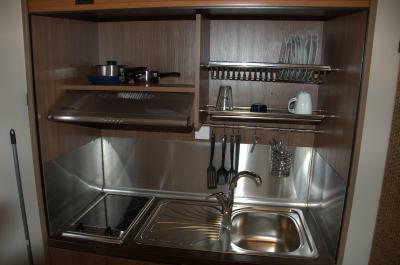 The kitchenette is equipped with a stove. 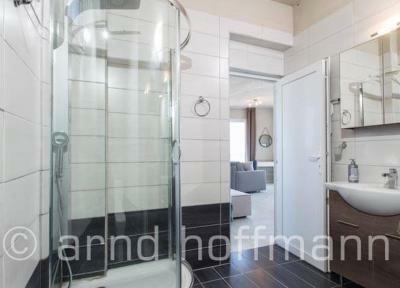 The bathroom comes with a bath or shower. 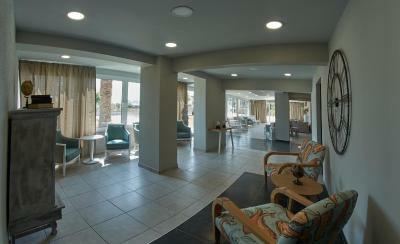 The on-site restaurant serves a la carte dishes for lunch and dinner. 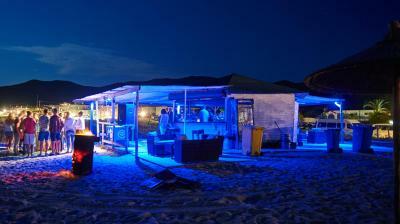 Hotel Sarti Beach also has a bar with sun loungers and umbrellas right on the beach. Within approximately a 30-minute drive you can visit the seaside towns of Toroni and Vourvourou. Thessaloniki International Airport is 75 mi away. 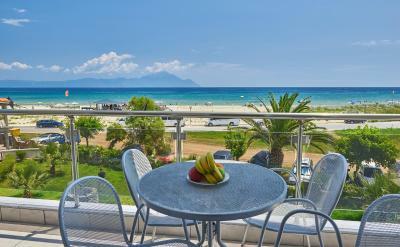 When would you like to stay at Hotel Sarti Beach? 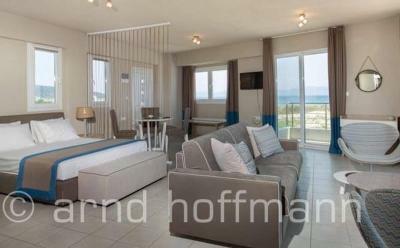 Offering sea views, this air-conditioned suite features a balcony, seating area, a TV and kitchenware. 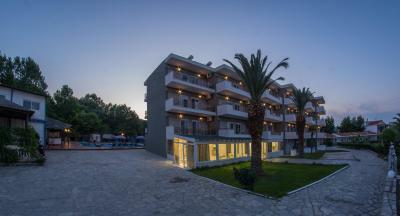 House Rules Hotel Sarti Beach takes special requests – add in the next step! 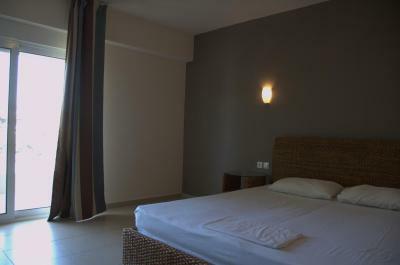 Hotel Sarti Beach accepts these cards and reserves the right to temporarily hold an amount prior to arrival. 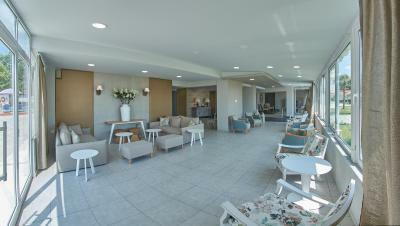 Please note that 30% of the total reservation needs to be deposited in order to verify the reservation. The only thing was not great was the wifi but thats it. It would have been super-duper helpful to be able to lend an iron and ironing board, as we were visiting to attend a wedding. WiFi literally does not exist. This is no go in 21. century. 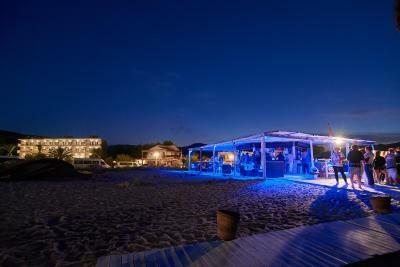 Also there might be a lot of noise from the nearest beach bar in the evening. The swimming pool was not clean. The beach near the hotel was not nice. After checkin we complained and got another room becouse the first was smelling from sink and was not possible to clean it. 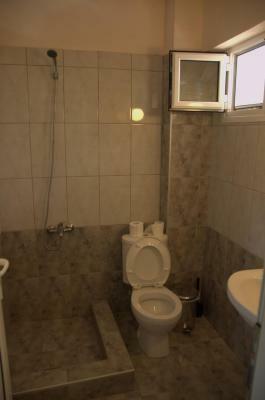 But 2nd one was sometimes smelling in bathromm as well. Very expensive (90 euros) for what it offers. The room was not clean at all. We actually had to call the reception and ask to clean the room (they just mapped a part of the floor...however, the whole room was not clean). 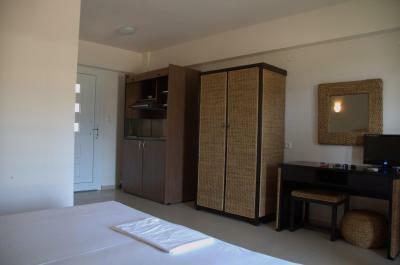 The room is poor renovated. The bathroom and the sewerage are old and they smell really bad, while the back windows and the kitchen were not renovated; they had just hidden the back windows with the curtain (they actually call it a suite...). But: -	there is a problem with the water-supply. We spent there 4 days and 3 days the water was muddy and brown. If you want to wash your face or teeth, you have to buy mineral water. Same if you want to take a shower… Explanation from the reception: Yes, it happens some times, it is the same case for the whole town (?!) 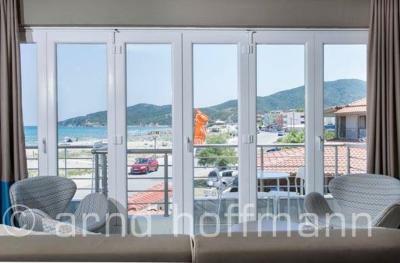 -	nice view from a balcony toward the sea – but you could not sleep till 1-2 o’clock in the night because of the beach bar in front of the hotel. Very noisy… -	It should be named “Rust Hotel” – it does not look like as a place where you pay approximately EUR 100 per night. Rust is everywhere, especially on the balcony on the back side of the hotel. 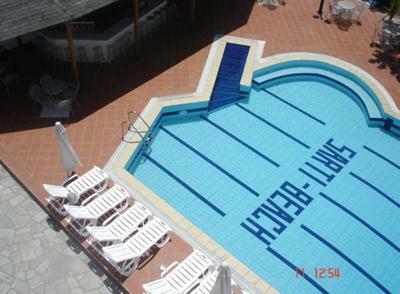 -	The swimming pool – not very well maintained, broken pieces around the edges, not very clean area around the swimming pool. You may see the attached pictures. Generally, I do not recommend this place for your vacation. Not everything is nicely renewed in the building, but this is not really a problem. Tv didn't work. There was no light for the terrace, or at least we could not find the switch anywhere logical. Exterior of hotel was unkept and desolate looking. Reception is missing. There is nobody that you can meet when you arrive. You need to go to Beach bar and search for manager there. Any problem you have again go to Beach bar. Price was too high for Septembar 70e/day.